Prof. Zeman trained in Medicine at Oxford University Medical School, after a first degree in Philosophy and Psychology, and later in Neurology in Oxford, at The National Hospital for Neurology in Queen Square, London and Addenbrooke’s Hospital, Cambridge. 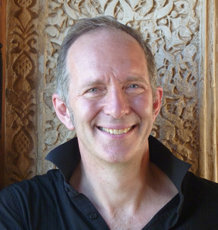 He moved to Edinburgh in 1996, as a Consultant and Senior Lecturer (later Reader) in the Department of Clinical Neurosciences and to the Peninsula Medical School (now University of Exeter Medical School) in September 2005 as Professor of Cognitive and Behavioural Neurology. His specialised clinical work is in cognitive and behavioural neurology, including neurological disorders of sleep. His main research interests are disorders of visual imagery and forms of amnesia occurring in epilepsy. He has an active background interest in the science and philosophy of consciousness, publishing a wide-ranging review of the field in Brain (2001; 124:1263-1289) and an accessible introduction to the subject for a general readership (Consciousness: a user’s guide, Yale University Press, 2002). In 2008 he published an introduction to neurology for the general reader, A Portrait of the Brain (Yale UP), and in 2012, Epilepsy and Memory (OUP) with Narinder Kapur and Marilyn Jones-Gotman. From 2007-2010 he was Chairman of the British Neuropsychiatry Association. He launched and continues to direct its training course in neuropsychiatry.